55 Football Nations hits Norwegian press! 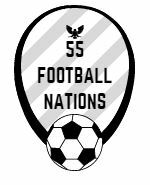 55 Football Nations went north for football nations 2, 3 and 4. Photo highlights from Iceland, including league matches at Breidablik and Stjarnan, HB Tórshavn and the Faroe Islands and Bergen, Norway for SK Brann’s demolition of Stabæk. 55 Football Nations went live in Georgia with a visit to Dila Gori v Lokomotiv Tbilisi in the Erovnuli Liga. Photo highlights from the match, the cracking capital of Tbilisi, nearby Gori and spiritual Mtskheta.